SPT-1 & SPT-2 Lamp Wire is intended for use in small household appliances including clocks, lamps, radios and fans that are not subjected to hard usage. Polyvinyl chloride insulation available with black, brown, white, clear, or silver jacket. 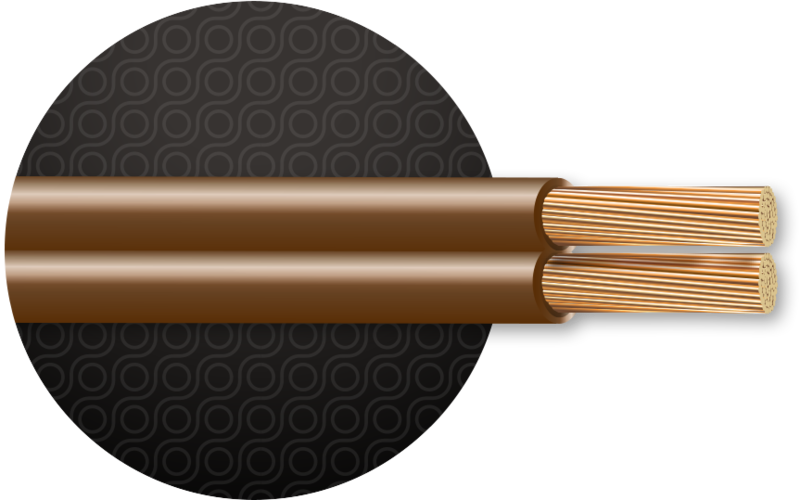 SPT-1: Two conductors laid parallel. SPT-2: (Premium Grade) Two conductors laid parallel.